CTI Logistics are one of the largest logistics operators in Western Australia. They employ over 800 staff working from multiple locations, delivering operationally critical equipment and services to their clients. Joining a list of over 20,000 other businesses we’ve worked with, CTI logistics decided to implement SMS to improve their business communication. Since signing up for our services in December 2013, SMS has become an integral tool in facilitating a smooth process of communication internally and externally. 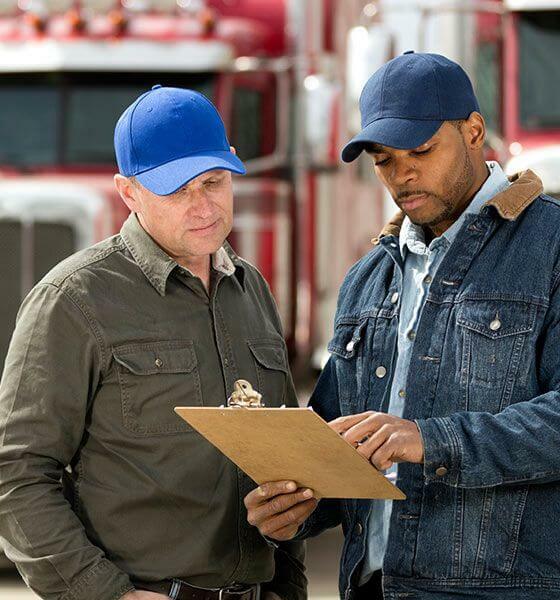 Fast and effective communication is fundamental to success in the logistics industry. 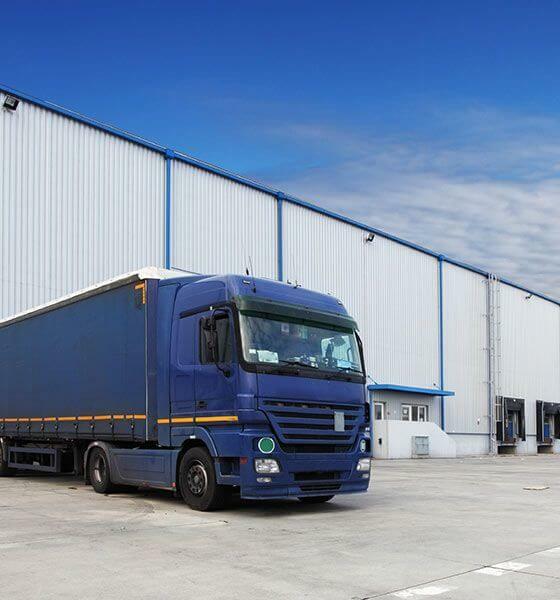 Esendex’s direct connections to the major networks, reliability and speed of delivery are just some of the reasons that CTI Logistics chose Esendex in the first place, and why they continue to be delighted with the service. An average of over 99% of SMS are delivered in under 5 seconds using the Esendex platform, guaranteeing the most effective communication of important messages for both clients and company personnel. "The system was so easy to implement and train staff on, once they’d sent one or two messages the benefits were there for all to see." All logistics companies have costs relating to the delivery and redelivery of items when recipients aren’t available. The cost of redelivery is significant to a business, especially one as large as CTI Logistics, and is easily reduced with SMS notifications. Sending an SMS with a predetermined delivery time obliterates any potential confusion and maximises the possibility of an on-time and accepted delivery. Logistics companies can also enjoy high levels of customer satisfaction with customers receiving goods at a convenient and expected time due to SMS notifications. 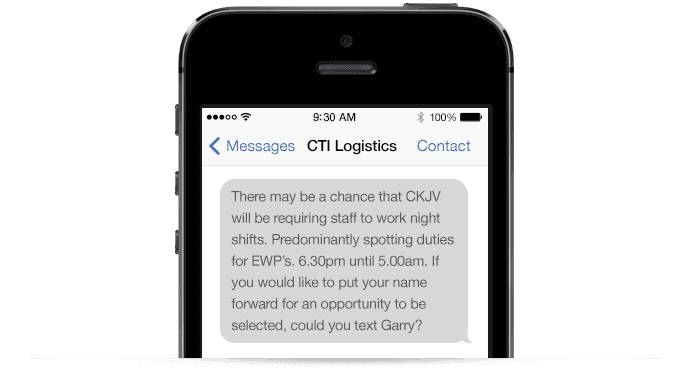 CTI Logistics also utilise the SMS service for the rostering of staff. Due to having such a large number of external staff, mainly on shift patterns, the ability to get the word out fast and effectively is crucial. Especially when attempting to formulate a rostering system that accommodates the needs of both the staff and business. Richard Van Der Kroef, who implemented SMS into the CTI Logistics rostering strategy, realised how easily a simple, reliable and robust SMS system could help resolve any issues. “We chose Esendex after running a number of trials, it was by far the most reliable and quickest in delivering what we needed. The system was so easy to implement and train staff on, once they’d sent one or two messages the benefits were there for all to see,” he said.